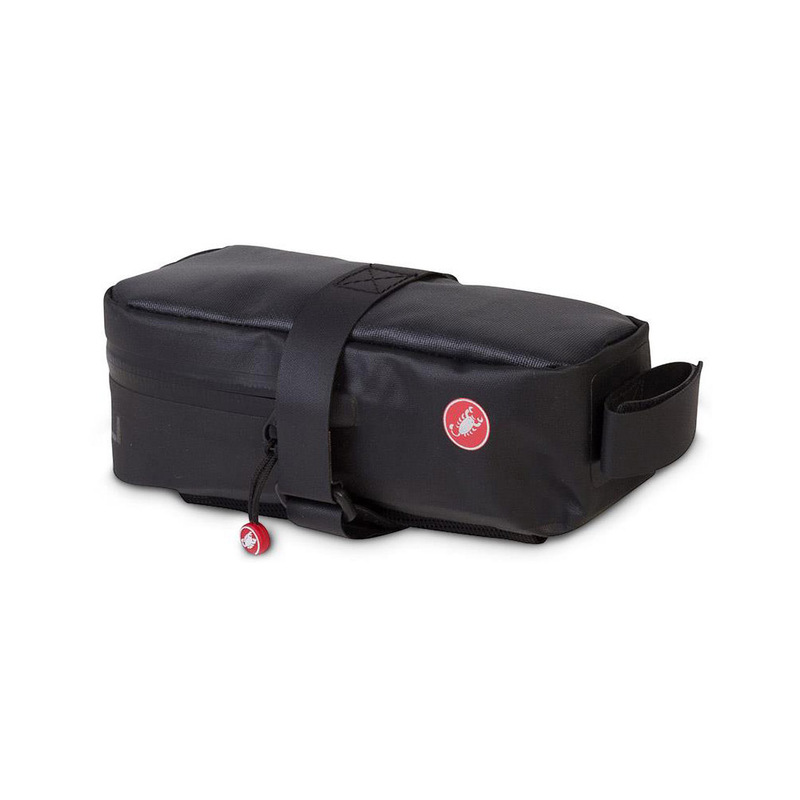 The Castelli Undersaddle XL is a practical, stylish, user-friendly saddle bag that’s designed to cope with unpleasant wet weather conditions featuring a covered zip and simple, easily adjustable Velcro straps to hold it firmly in place. There’s plenty of room to store multitools, CO2 cartridges, spare tubes and puncture repair kit while a mesh underside allows you to store additional items externally. Great product. Perfect size and doesn't move around at all when cycling. So far so good! Good and valuable saddle bag for the price. I bought the XL size as I wanted to use this for road and mountainbike. I can put 2 road inner tubes+co2 cartridge and valve+multitool keys all safe and clean! It's good for wet rides and it has a nice touch and finish! Bought as a spare summer saddle bag as I use a tool tube in winter. Despite the XL moniker this bag is not very big and would struggle to get more than 1 tube, levers, repair kit and multi tool in it. I'd rather have space for 2 tubes as I have double punctured on more than one occasion in the past. It is pretty discrete though and does have a sleeve to hold a co2 or mini pump on the underside. Good price on Merlin but loses a star for its lack of capacity.